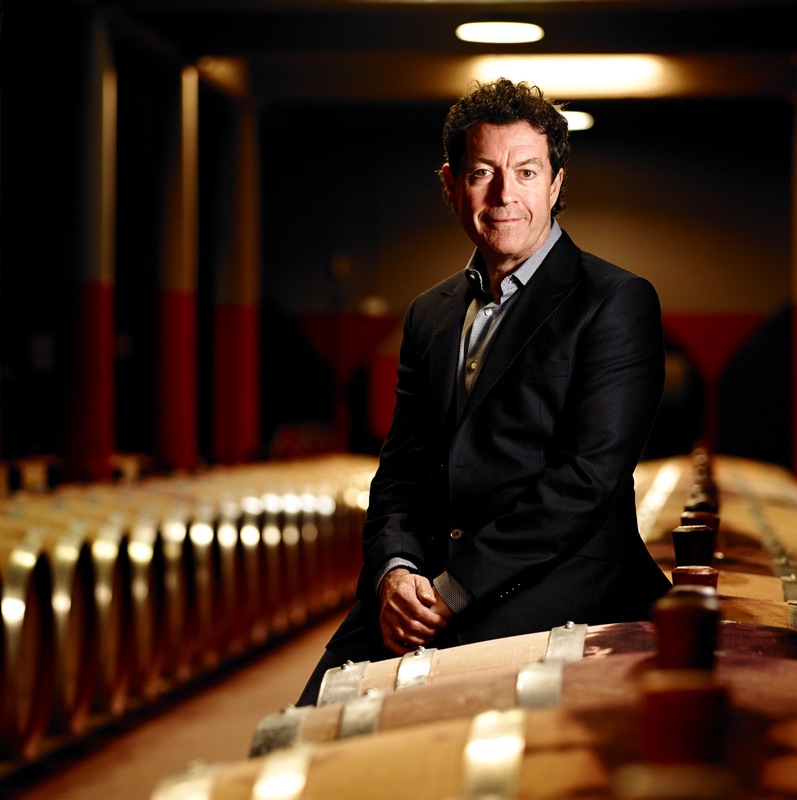 Peter Gago AC, Chief Winemaker at Penfolds and custodian of Penfolds Grange since 2002. 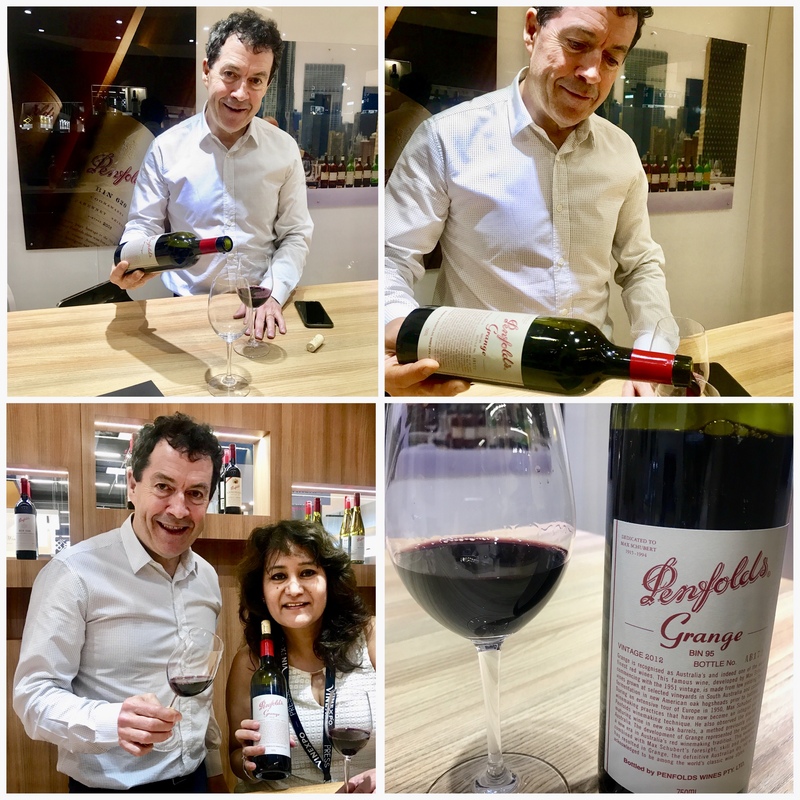 I met Peter Gago, chief winemaker at Penfolds since 2002, during Vinexpo 2017 in Bordeaux France. The first thing that struck me about him was his self-effacing humility. For a man who had been recently appointed as a Companion of the Order of Australia (AC) for service to the wine industry, Gago came across as someone who wore his success rather lightly. He was kind enough to offer me a glass of Penfolds Bin 95 Grange 2012 at 10am, the time we had fixed for his interview. In the hour that I spent talking with him, I got fascinating insights into Penfolds, Australia’s most recognizable and prestigious wine brand, its historic blends, the BIN series wines, the flagship label Grange and Peter Gago himself. Since I had begun my day with Grange, one of the most sought-after and exceptional wines in the world, renowned for its longevity, let me begin by telling you about that first. Grange is Australia’s iconic and revered wine. It is the country’s answer to Bordeaux first growths and counted among the world’s greatest wines. Celebrated wine writer Hugh Johnson calls it, “the only true first growth in the southern hemisphere”. Created by Max Schubert in 1951, Grange is the most powerful expression of Penfolds multi-vineyard and multi-district blending philosophy. So much so that it has been declared a heritage wine, protected by the National Trust of South Australia. In the year 2000, Wine Spectator acclaimed the 1955 Grange as one of the top 12 wines of the century. In 2013, Bin 95 Grange 2008 Grange received 100 points from Robert Parker’s Wine Advocate and America’s Wine Spectator Magazine. Sought-after by collectors and selling upwards of $700 a bottle, it is primarily Australian Shiraz with a very small percentage of Cabernet Sauvignon in most years (usually less than 8%). Known for its stylistic consistency, depth of character and complexity of flavour, its top vintages have the ability to age for 50 years and more. A bottle of Grange 1951 (the first experimental vintage released as Bin 1) is the most expensive Australian wine, recently sold at an auction for nearly $40,000. 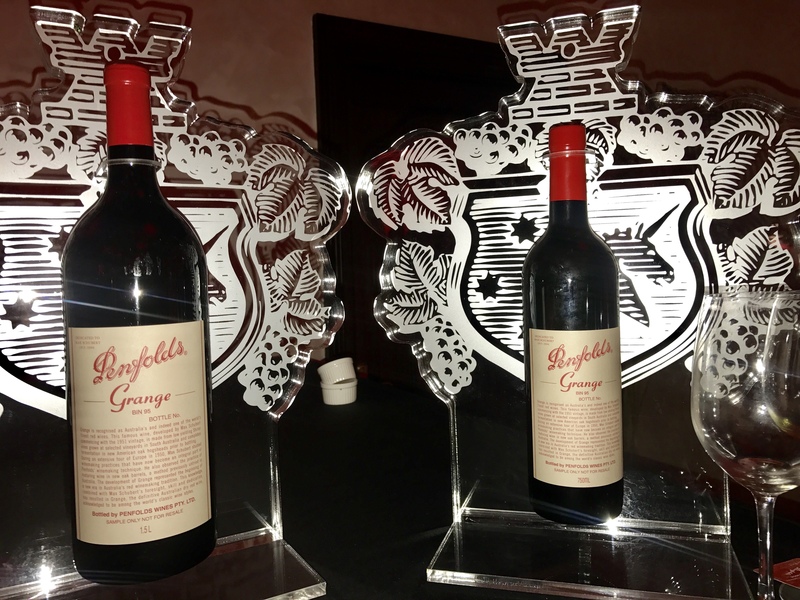 But Grange is not the only ‘super-premium’ label that Penfolds, one of South Australia’s pioneering wineries, is famous for. Throwing light on the other greats in the Penfolds portfolio, Peter Gago said, “St Henri wines, an alternative expression of Shiraz can last as long as Grange and Bin 707, a Cabernet Sauvignon reflection of Grange with great cellaring potential, is another wine worth collecting”. And as per Wine Ark’s list, Penfolds Bin 389 Cabernet Shiraz also known as ‘Baby Grange’ was the second most collected wine in 2016 after Penfolds Grange. The other luxury wines in Penfolds portfolio : Bin 144 Yattarna Chardonnay, a 100% barrel fermented wine that has set the standard for ultra-fine Australian Chardonnay; RWT Barossa Valley Shiraz, a modern day cellaring-style wine that articulates the Barossa terroir; Magill Estate Shiraz, a single-vineyard French château-style ‘monopole’ along the lines of a classic claret ; Reserve Bin A Chardonnay, a modern style cool-climate Adelaide Hills Chardonnay with flinty complexity and razor-sharp acidity; Bin 169 Cabernet Sauvignon, one of Penfolds regional Coonawarra wines, a contemporary alternative to Bin 707and in Peter Gago’s words “a wine that has all the hallmarks of an emerging classic”: all these have become Australia’s most prized wines in the market. “If one were to describe the distinct styles that characterize Penfolds winemaking philosophy, it would be, single-vineyard or single block, single region or sub-region and the most popular multi-region or multi-varietal. It is a company whose winemaking philosophy has greatly influenced Australia’s winemaking approach”, said Peter Gago. 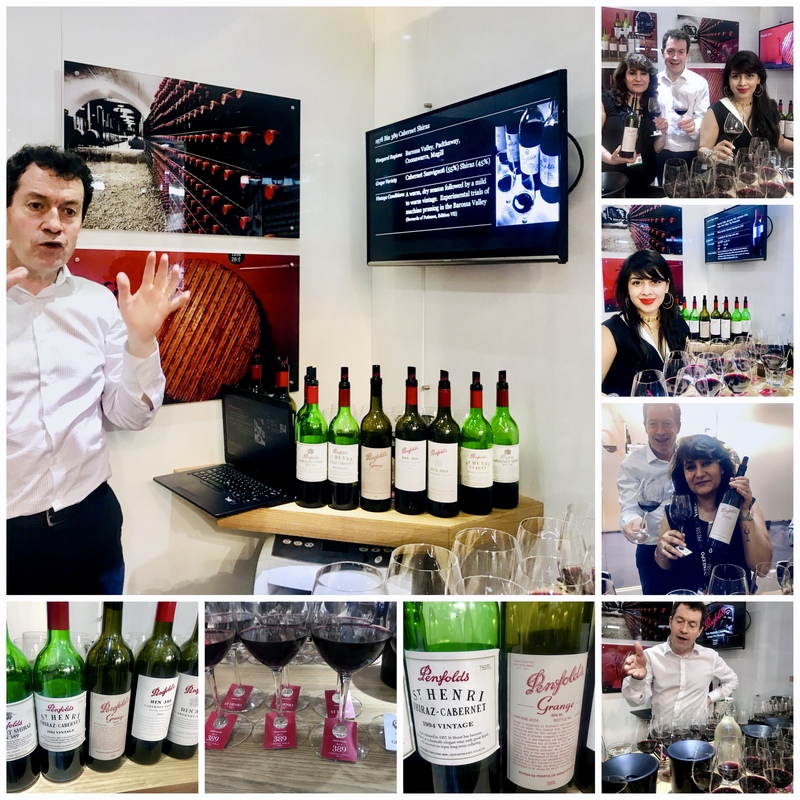 With Madame La Cave Madhulika Bhattacharya Dhall at a comparative tasting of select vintages of Penfolds St Henri Shiraz-Cabernet & Penfolds Bin 389 Cabernet Shiraz conducted by Peter Gago during Vinexpo Bordeaux in June 2017. Also tasted the much acclaimed Penfolds Grange 2008 that received 100 points from Robert Parker’s Wine Advocate and America’s Wine Spectator Magazine. Other than premium award-winning and high-point scoring wines Penfolds, a part of one of the world’s largest wine companies, Treasury Wine Estates, produces a wide range of everyday drinking wines, playing in all price segments of the wine industry. These wines from vineyards in South Australia, New South Wales, Victoria, and Tasmania showcase diversity and represent excellent value for money. From classic Shiraz-Cabernet blends to Rieslings, Semillon-Sauvignon Blanc, complex Chardonnay, Mataro, Pinot Noir, Grenache, Sangiovese, Tempranillo to Fortified, Penfolds portfolio has them all. A common thread across all Penfolds wines is that every label carries the red Penfolds signature and each bottle features that striking red cap, giving you a feeling that you’re drinking something that ‘might’ taste like a Grange. Known for labelling their wines by BIN numbers, I was curious to know what they stood for. “The BIN number is merely a Batch Identification Number that refers to the area in the cellars where the wines were historically stored. It does not bear relation to quality or price, though it does allow different quality versions to co-exist”, explained Gago. According to Peter Gago, a factor that has helped to keep the brand on track has been the fact that the winemaking team behind Penfolds has remained the same for the last 40 years. “I am only the fourth person to hold the position of chief vintner, since the Magill Estate vineyard was first planted in the foothills of Adelaide in 1844, by Dr Christopher Penfold and his wife Mary”, revealed Gago. Since then, awards and accolades have flown steadily. Penfolds was named number one in Drinks International magazine’s annual poll as the “World’s Most Admired Wine Brand 2016”. Gago himself is regarded very highly in the world of fine wine. He was named 2005 Winemaker of the Year by Wine Enthusiast Magazine and in 2012 as Winemakers’ Winemaker by Institute of Masters of Wine and The Drinks Business. However, this head custodian of 174 years of Penfolds’ rich winemaking heritage attributes his success entirely to teamwork. “Rather than personal glory, what is more, important to me is to push the boundaries, and carry the brand forward”, said Peter Gago very modestly. 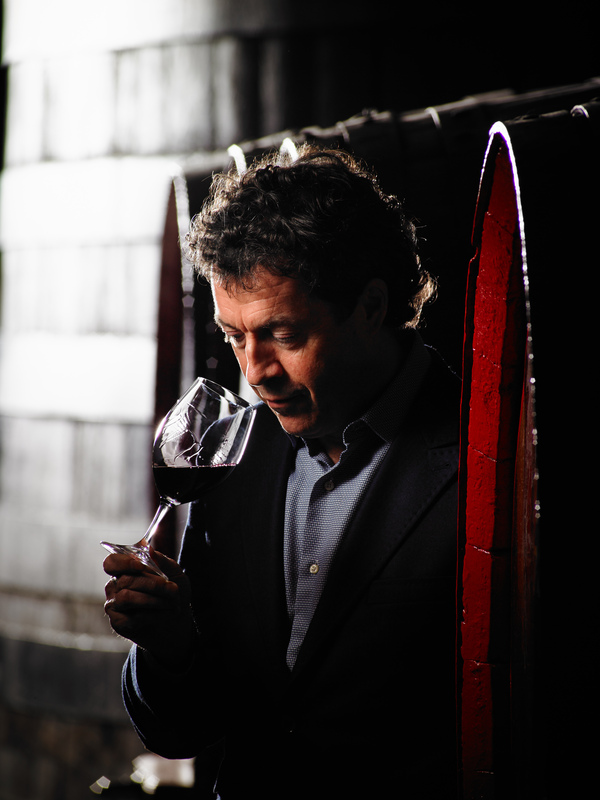 Under his guidance, Penfolds is going through a successful and productive phase and a lot of credit for this goes to Gago’s ability to communicate the Penfolds philosophy on a global stage. “Making great wine is not enough anymore. You have to be out there talking about your wines”, he spoke. Guess that is the reason why he is always juggling a hands-on job like winemaking with constant globe-trotting. 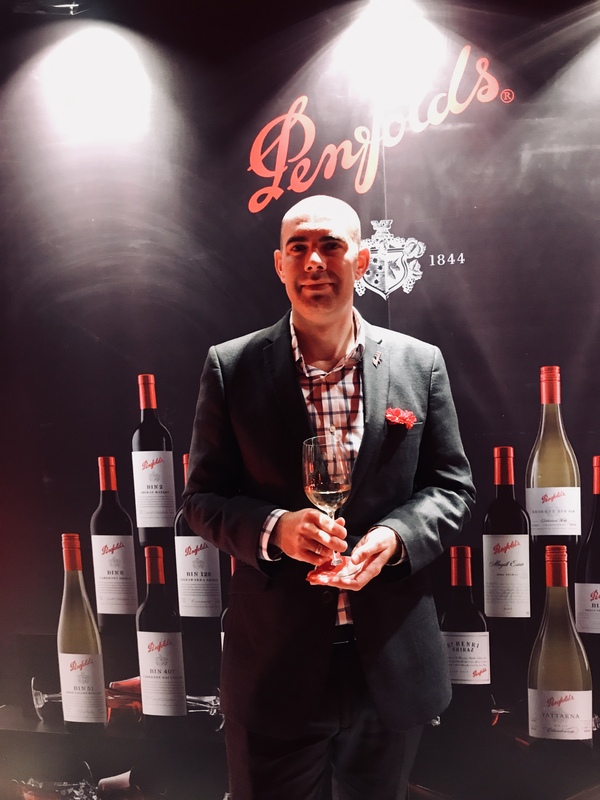 Not only is Peter Gago the Brand Ambassador of Penfolds, he has also been appointed South Australia’s Global Wine Ambassador. South Australia produces 80% of the nation’s premium wine and the inclusion of Adelaide in the list of Great Wine Capitals alongside some of the world’s best; Bordeaux in France, San Francisco and its famed Napa Valley, Mendoza in Argentina, Porto in Portugal, Cape Town in South Africa, Bilbao-Rioja in Spain, and Valparaìso-Casablanca Valley in Chile; is a matter of great honor. Penfolds is also a pioneer in the field of fine wine after-care. “The Penfolds Red Wine Re-Corking Clinic”, a unique after-sales service or ‘health check’, inspired by Max Schubert, the creator of Grange, allows people with 15 years and beyond vintage red wines to have their bottles assessed, recorked and topped up with the current vintage of the same wine. Wines can only be re-corked once. The details are recorded in a database and the wine gets a certification. So far over 130,000 bottles have been certified under this proposal which has grown into a global undertaking. In Peter Gago’s words, “We will travel basically anywhere in the world and we’ll repair that leaking bottle or cork that didn’t go the distance”. A big boon for their fans who spent a fortune in acquiring that rare bottle of Penfolds. 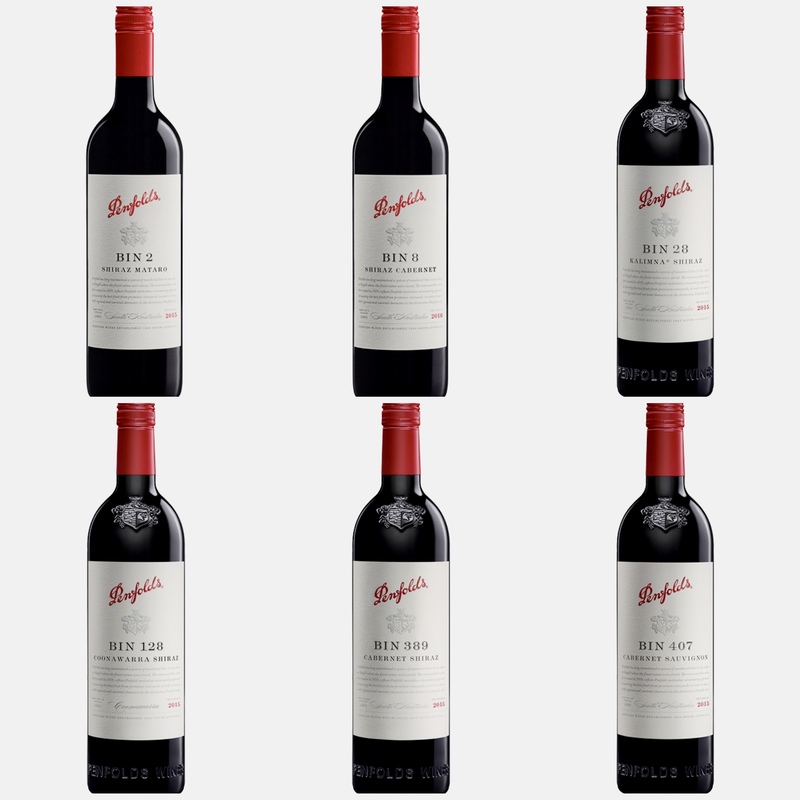 The most recent high profile launch by the company has been the release of limited-edition Penfolds g3, a blend of three Grange vintages 2008, 2012 and yet-to-be-released 2014, assembled and matured together in barrel before bottling. It comes with a price tag of $3000 each. 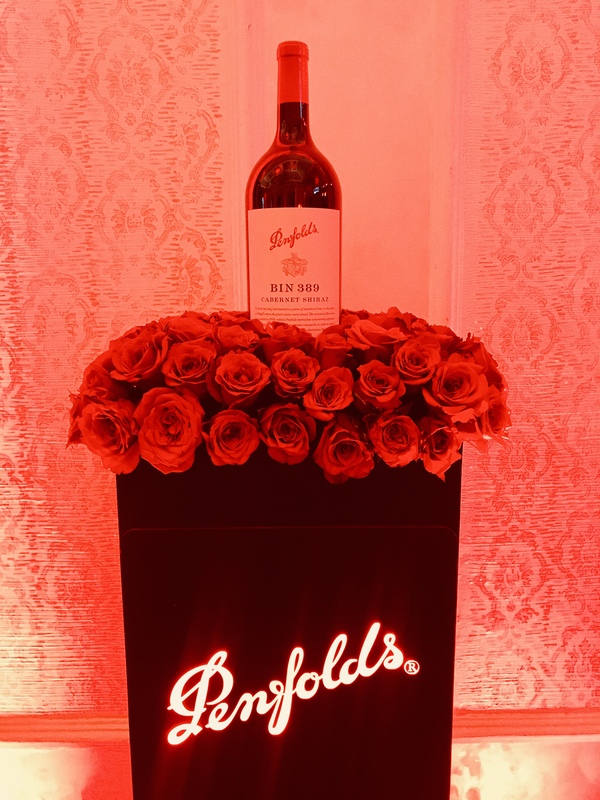 In India too, Penfolds made a huge splash last year when over a series of high profile dinners, the brand was relaunched by Aman Dhall‘s Brindco, the largest importer of wine and spirits in the country. 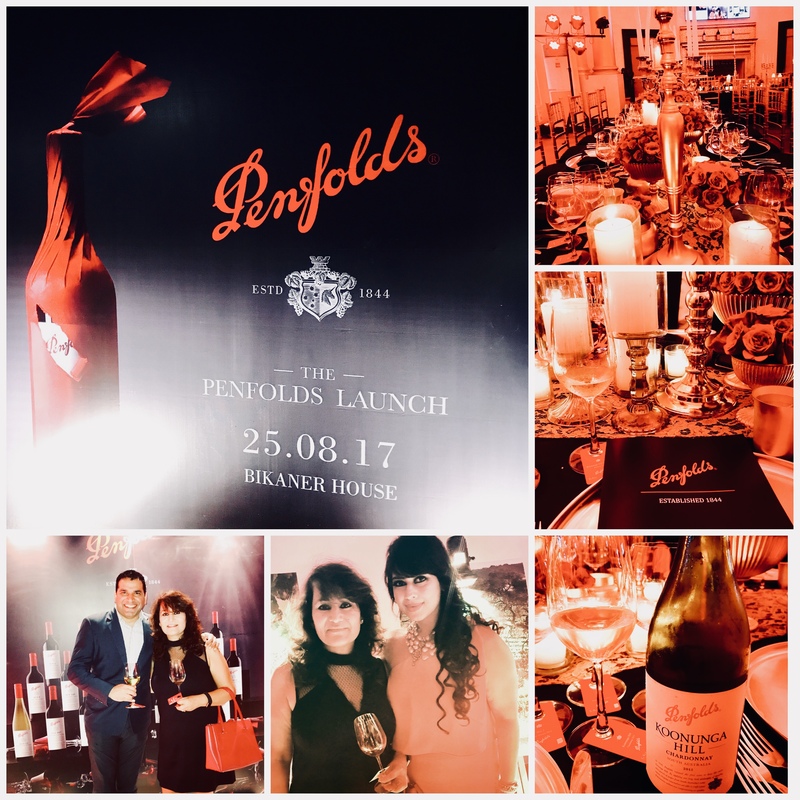 At ‘The Penfolds Launch’ function held on 25th August 2017 at Bikaner House New Delhi with Yodissen Mootoosamy, Regional Business Manager at Treasury Wine Estate and Madame La Cave Madhulika Bhattacharya Dhall of Brindco and La Cave Fine Wines. The glittering function had everyone talking for a long time. Superb catering by ‘One Fine Meal‘ and the beautiful decor was much appreciated by all. From premier offerings to entry-level wines, Brindco’s Penfolds portfolio features the Koonunga Hill range and three wines from the Bin range, Bin 2 Shiraz Mataro, Bin 28 Kalimna Shiraz and Bin 8 Shiraz Cabernet. These can be found at top retail outlets in Delhi, Bangalore, Mumbai, Thane and Pune. Sam Stephens, Singapore-based Winemaking Brand Ambassador of Penfolds and Yodissen Mootoosamy, Regional Business Manager Treasury Wine Estates (TWE), who were in India for the re-launch event, said that they were happy with the growth of India’s imported wine market and the demand for Australian wines, especially the interest shown in Penfolds. Sam Stephens, Penfolds Winemaking Ambassador at the launch function hosted by Brindco & La Cave Fine Wines at Bikaner House, New Delhi. Let us hope that wine lovers in India continue their special relationship with Penfolds, Australian national treasure and one of the world’s greatest wine brands. This article first appeared in Vol 4-Issue 4 (May 2018-July 2018) of “The Luxury Collection Magazine”.